After seeing carbon-fee and cap-and-trade proposals stall in the Legislature in recent years, Washington's governor, a potential 2020 Democratic presidential candidate, encouraged lawmakers to act on his latest package to combat climate change. OLYMPIA — Standing before a Washington Legislature that for years has balked at his carbon-reduction agenda, Gov. 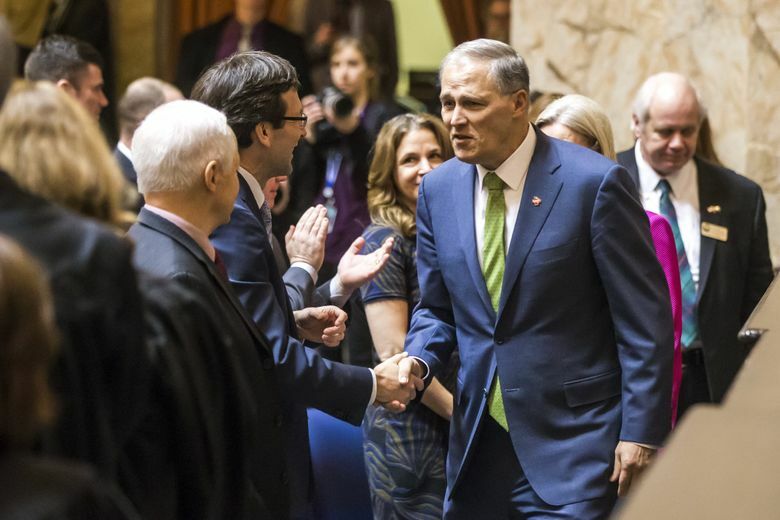 Jay Inslee implored lawmakers Tuesday to make bold moves to combat climate change. 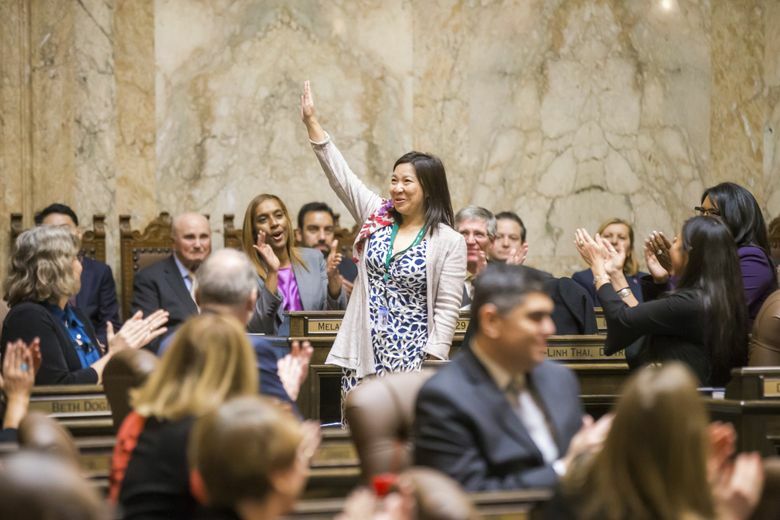 The governor’s State of the State address before a joint session of the House and Senate comes as Democrats return to the Capitol with expanded majorities — and hopes of taking on bigger pieces of legislation. But Inslee faces a hotter spotlight. The second-term Democratic governor is considering a presidential bid that would emphasize a national call to reverse climate change. This legislative session will show if he can finally bring his biggest ideas to fruition in his own state. The governor cited the warming oceans and the wildfires that have either ravaged Washington lands or dirtied the skies in recent years as the new normal — unless swift action is taken. In recent years, Inslee’s ambitious carbon-fee and cap-and-trade proposals stalled in the Legislature. Washington voters in 2016 and 2018 also rejected carbon-fee ballot measures. This year the governor is taking a different approach. He’s advocating for a series of smaller bills that he said roughly equals the amount of carbon-reduction in his previous, overarching proposals. The package includes a clean-fuels standard for auto emissions, the eventual elimination of “super-pollutant” hydrofluorocarbons used in air conditioning, and more electric-vehicle incentives and tighter energy-efficiency regulations for buildings. Sen. Reuven Carlyle, D-Seattle praised that approach. The governor’s proposal “doubled down on getting the most emissions reduction possible at the most modest price,” said Carlyle, who chairs the Senate Environment, Energy and Technology Committee. 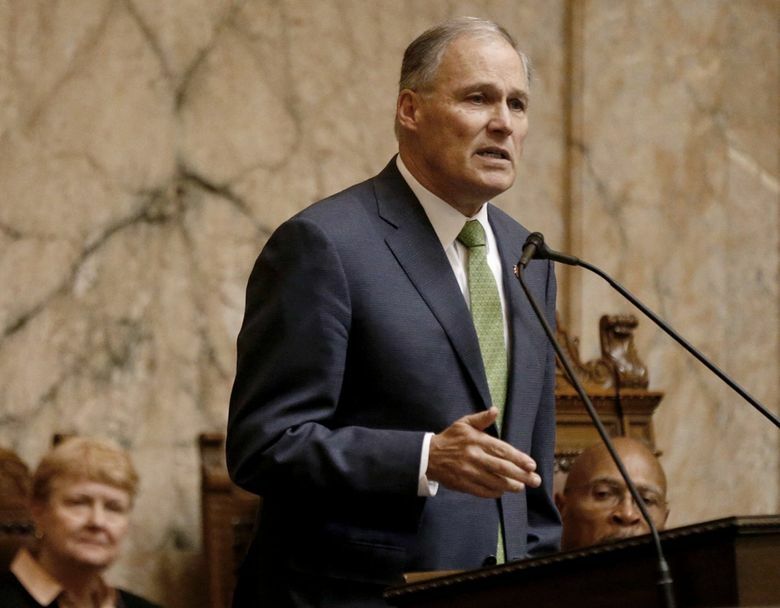 But Inslee’s speech drew swift criticism from GOP legislators, who have disparaged his climate-change efforts as too expensive for citizens, too stifling to businesses, or both. 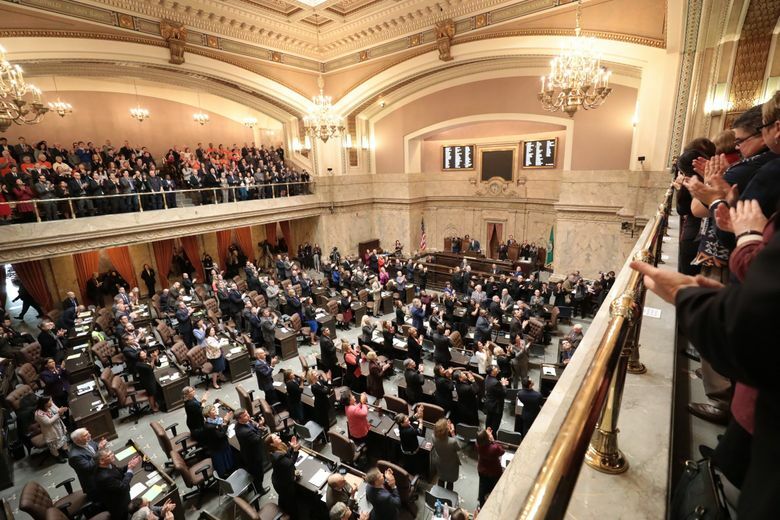 In the Republican response to Inslee’s address, Rep. Jacquelin Maycumber, R-Republic, Ferry County, described the governor’s priorities as “an extreme environmental agenda, no matter the cost to you and me.” She called instead for incentives to reduce carbon emissions. 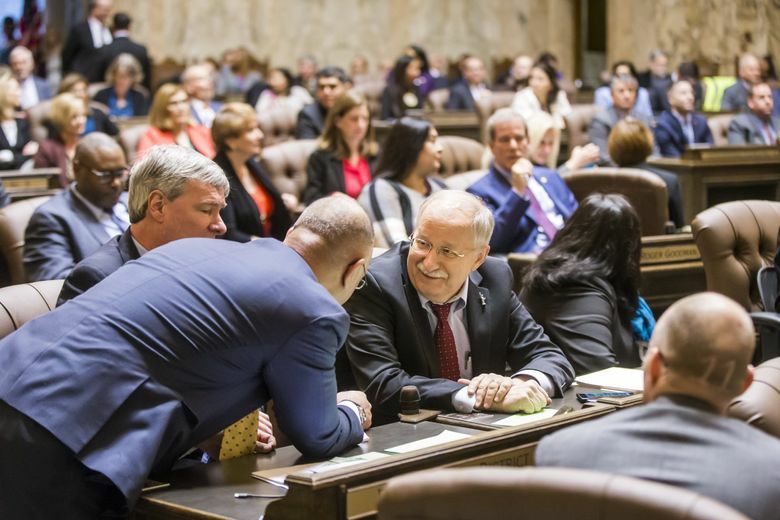 Republican lawmakers lashed out at the governor’s expansive $54.4 billion proposed 2019-21 state operating budget, the blueprint for Inslee’s agenda. And they pointed out that the governor made no mention in his speech of the $3.7 billion tax package he has proposed to fund his priorities. Rep. Jim Walsh, R-Aberdeen, took a more creative approach to opposition. 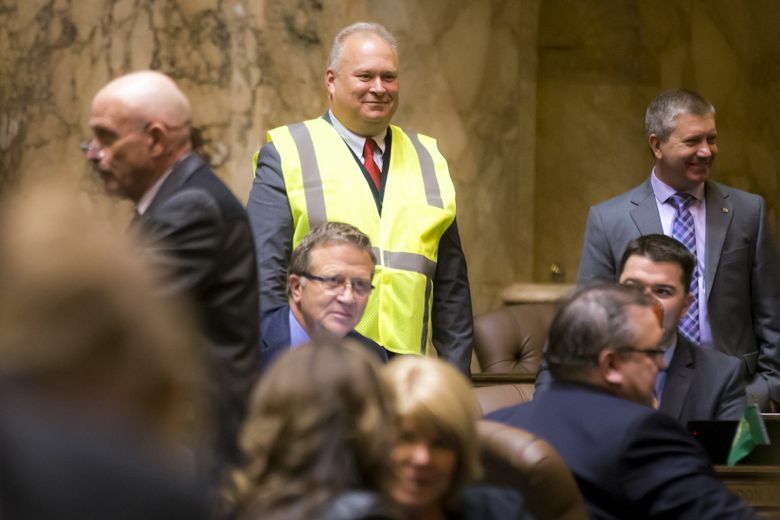 On the House floor Tuesday before the governor’s speech, Walsh briefly wore a reflective safety vest. It was a visual comparison to the “yellow vest” protests in France that originally broke out in resistance to fuel taxes. Walsh criticized the governor’s past and present proposals that might raise vehicle taxes. 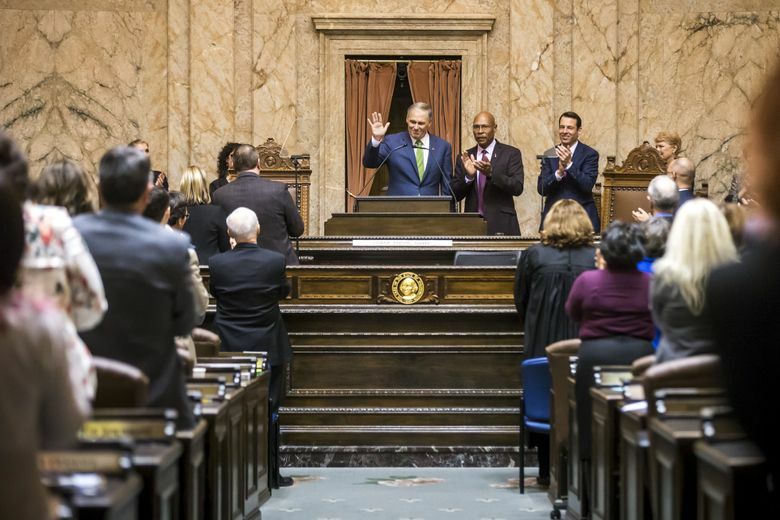 Inslee in his speech beseeched lawmakers to make big investments to fix Washington’s mental-health system — a point officials in both parties have broadly agreed upon. He pressed for expansion in programs for early learning and college affordability. He laid out his case for more education funding and efforts to save the endangered southern resident population of killer whales. The governor’s remarks came as new data show Washington moving in the wrong direction to hit greenhouse-gas reduction goals put into law roughly a decade ago. State law requires greenhouse-gas emissions to return to 1990 levels by next year. But new numbers reveal that emissions have increased about 6.1 percent from 2012-2015. That rise is due in part to more fossil fuel-generated electricity and a roaring economy, according to the Washington Department of Ecology. Inslee is making his push at the Legislature as he also launches an attempt to appeal to a much broader audience: voters across the nation. The governor Tuesday touched on a series of issues that animate voters across the Democratic political spectrum: worker rights, race and a woman’s right to be in charge of her own health care. He mentioned Washington’s increasing restrictions on guns — some of them approved by voters in statewide initiatives — which drew a long standing ovation from Democrats and some state officials. 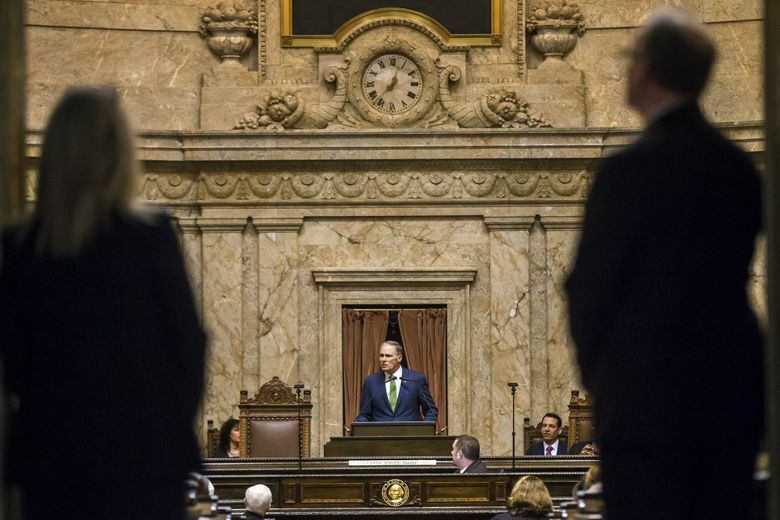 And Inslee touted the end of the death penalty in Washington — which he put a moratorium on in 2014, before the state Supreme Court struck it down last year — and the state’s commitment to a welcoming environment for immigrants. The governor spent Saturday giving a speech in Nevada, a key early state in the presidential nominating process. Next Monday and Tuesday, Inslee is scheduled to be in New Hampshire, home of the nation’s first presidential primary. He is scheduled to speak to students at Dartmouth College and Saint Anselm College on climate change, and also at a fundraiser hosted by former U.S. Rep. Paul Hodes to benefit the state’s League of Conservation Voters. Despite their big new Democratic majorities, the governor and his allies may well struggle to accomplish everything they want. 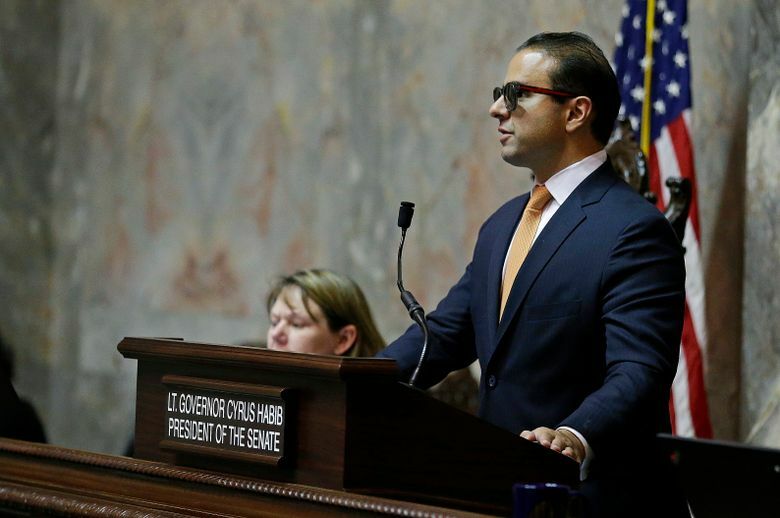 Several Democrats already have declared their discomfort with the governor’s proposed $3.7 billion tax package — which includes a new tax on capital gains and an increase in some business-and-occupation tax rates — to fund his agenda. Democrats may also lack the support to enact low-carbon fuel standards, a key piece of the governor’s climate-change proposal, according to Sen. Christine Rolfes, D-Bainbridge Island, and chief Democratic budget writer in the Senate. But Rep. Joe Fitzgibbon, D-West Seattle, and chair of the House Environment & Energy Committee, struck an upbeat tone. 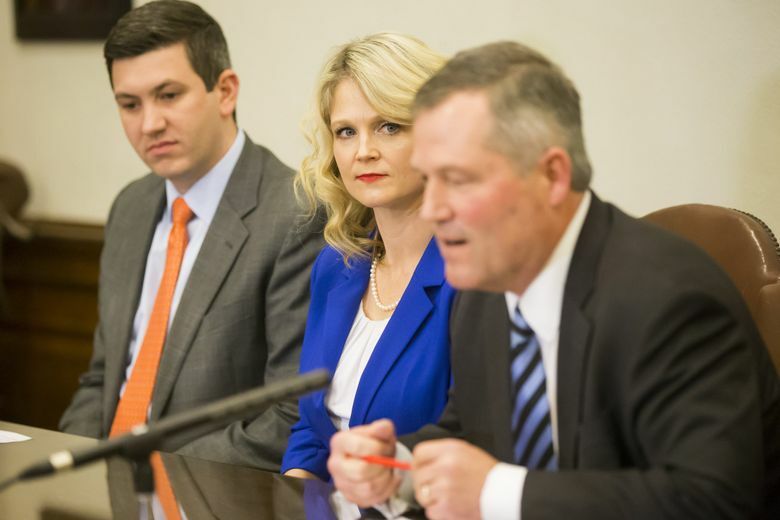 His committee on Tuesday held public hearings for two pieces of climate-change legislation, including a low-carbon fuel standard bill, HB 1110. 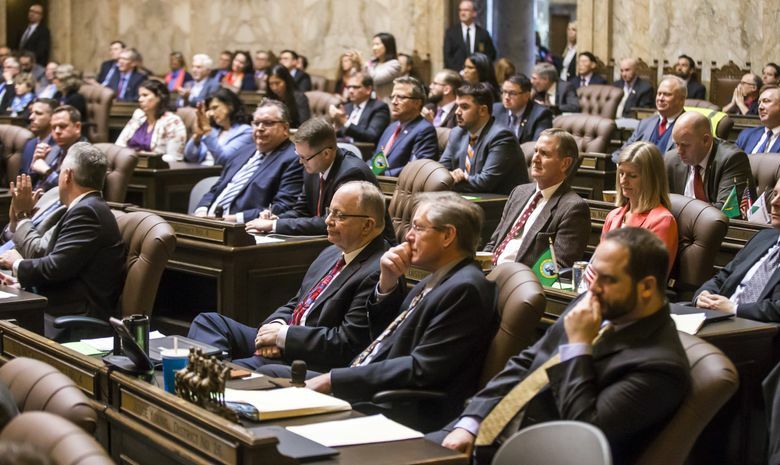 Fitzgibbon noted that a Republican coalition controlled the Senate for five of Inslee’s first six years as governor, stalling big pieces of the governor’s agenda. And Democrats last year held ultra-slim majorities. Also, compared to previous years, “I think that there’s more understanding in the Legislature about the impacts of climate change now,” he said. Seattle Times political reporter Jim Brunner contributed to this report.